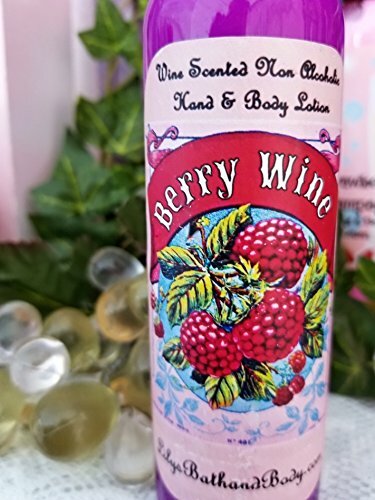 This Berrywine scented lotion is a lush combination of raspberry and blackberry for the ultimate berry scent. Almost smells good enough to drink. No Alcohol or "Drunk" Smell, It does not make you smell alcoholic at all. It makes a wonderful gift for that wine lover on your list! The scent is based off of the fermentation of the fruit. The lotion also has lots of skin loving ingredients like Rice bran oil and avocado! If you have any questions about this product by Lily's Bath and Body, contact us by completing and submitting the form below. If you are looking for a specif part number, please include it with your message.